Yummy flavorful kachoris with mast aloo ki sabzi & pickled green chillies, crisp jalebis, good khasta kachoris, malai lassis & good gulab jamuns & many more varieties of Bengali sweets is what u can get at this place. …..& we make it a point to visit every time we r in Kolkata. The Hing (asafetida) Kachoris r fried in ghee, have a very good flavor of lentils & spices, the aloo ki subzi is chatpata , with a little gravy but not very teekha (hot in taste). So, they give a very interesting green chillies sautéed in some fundu masala…… too good. The jalebis r crisp & thin – very tasty. 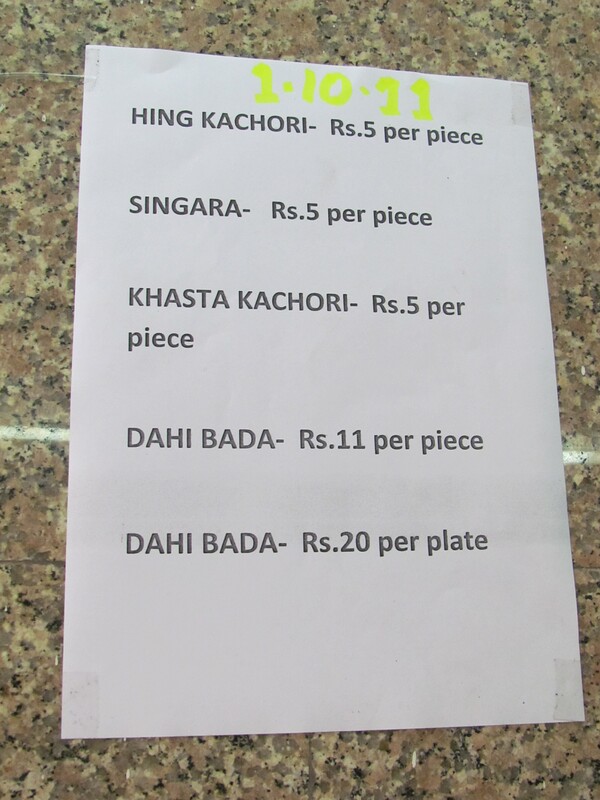 The khasta kachoris r good but not the best I have had – The smell of pure ghee (that u get with the first bite of an outstanding kachori) was missing. The middle is not fully filled with lentils & masala but the flavors r also good – but not excellent. The intensity of taste of the pack was much less than the best I have had so far (Vajpayee ke Poori aloo in Lucknow). 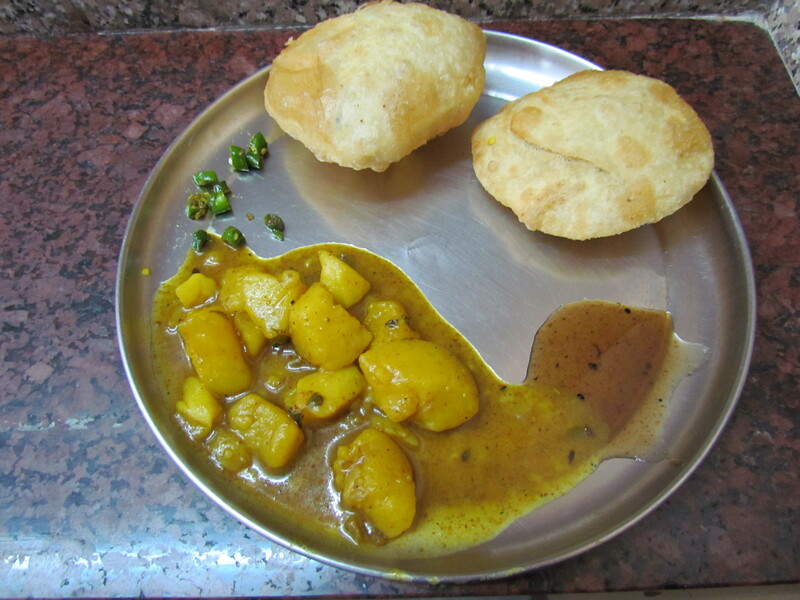 In fact the Khasta at Gangurams at Manicktolla Lohapatty in Kolkata was much better than that in Sharma sweets. Samosa – had no dramatic wow effect on the first bite. The outer layer was good but lacked salt. The filling however was excellent. Worth a try. 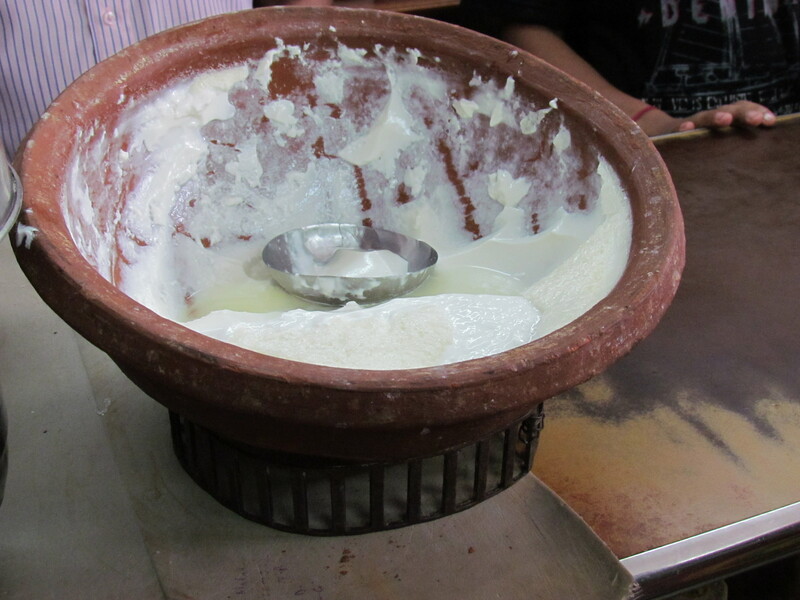 The machine churned Lassi is fairly thick & has a malai topping – is predominantly sweet – does not have a hint of salt…….. No comparison to the best (hand churned) lassi I have ever had – at Varanasi , outside Ramnagar fort (see the attached link – scroll down to bottom of the new page). It is very difficult to get good gulab jamuns ay more – with the mild salty taste, saffron in the middle & also pistachios. 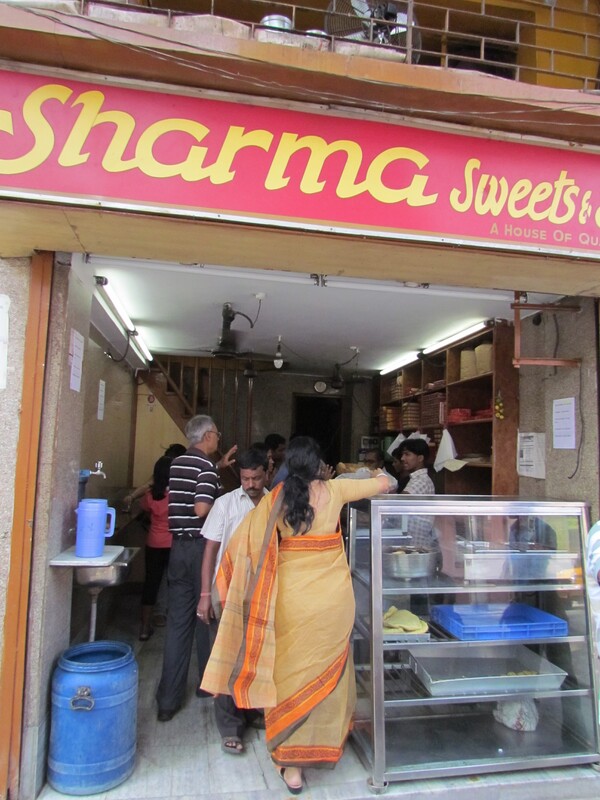 The Gulab jamuns of Sharma sweets were fairly good. The sweets r generally good too. Head out for it one of these days & I can ensure u will not regret.